and the formidable beauty of cactus spines. even the suburban patterns of asphalt and concrete seem pleasingly organic. 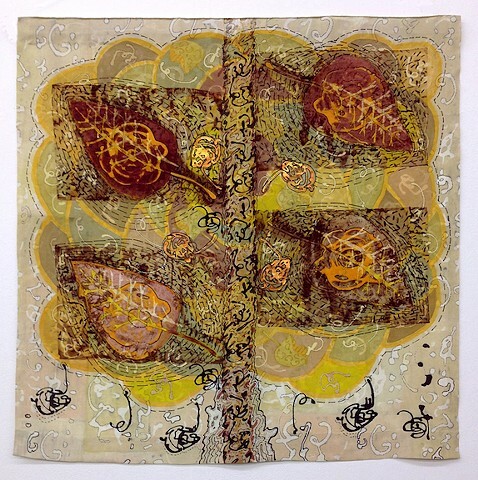 Using everyday items (such as erasers, discarded plastic, weeds and newly fallen leaves) I work with fiber-reactive dyes to build layers of color and pattern on silk, rayon and cotton fabric, creating organic designs that will satisfy from near as well as far.